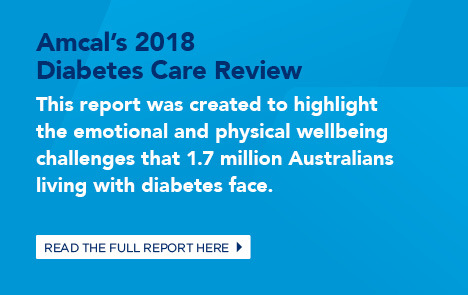 If you are unsure whether you could be at risk of developing type 2 diabetes, ask your Amcal pharmacist for a Diabetes Risk Assessment. With 280 Australians diagnosed with Type 2 diabetes every day,^ you could be at risk. A HbA1c test measures the amount of glucose (sugar) attached to your red blood cells. The test provides a measure of whether there has been too much sugar in your blood over the previous 3 months. If not managed properly, diabetes can lead to many other health complications. Areas that can be affected include: feet, eyes, weight, quality of sleep, kidneys, bladder and heart. Fortunately, there are a number of lifestyle changes that you can make to help manage your diabetes. These can include changes to diet, regular exercise, and closely monitoring your blood glucose levels. 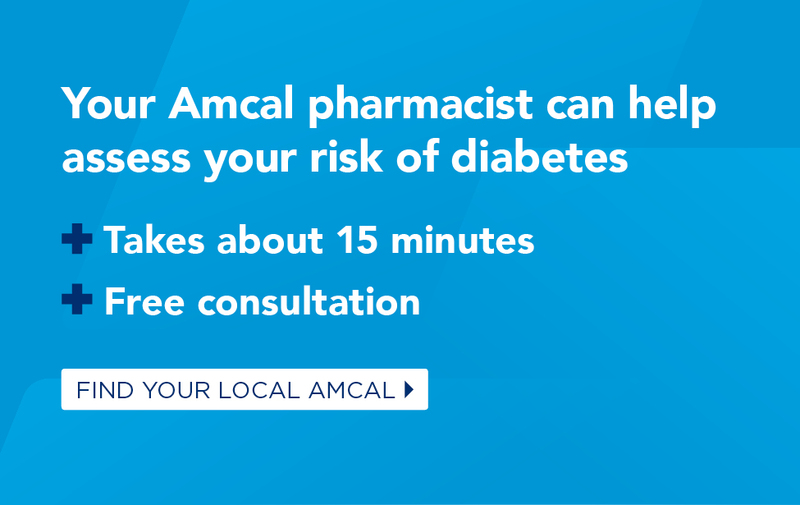 Your Amcal pharmacist is a trained expert in diabetes healthcare, so whatever stage you’re at, we’re always here to help.